Product prices and availability are accurate as of 2019-04-19 04:48:45 UTC and are subject to change. Any price and availability information displayed on http://www.amazon.com/ at the time of purchase will apply to the purchase of this product. 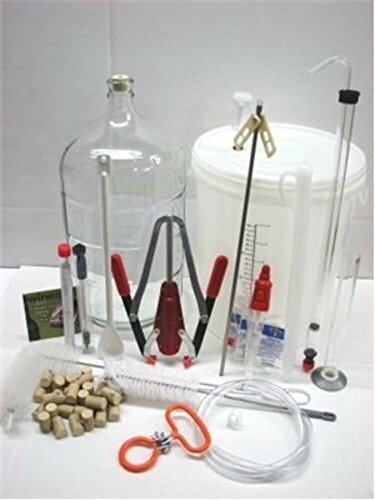 Our Ultimate / Vintner & apo Home Wine Making Equipment Kit Contains the Following - GLASS: 6 gallon Glass Carboy 8 gallon Fermenter with Lid that Accepts Airlock - BIGGER. 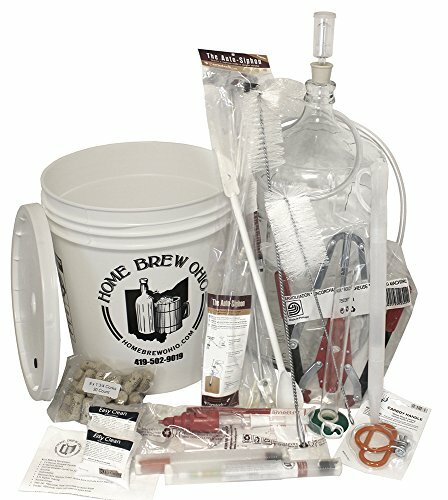 Unlike a 6.5 Gallon Fermenter When Stirring or Punching Down the Contents Stay in the Fermenter Portuguese Double Lever Corker - Excellent Quality Hydrometer - Triple Scale 5 Ft of 3/8 Inch Siphon Hosing for Transferring Wine 3/8 Inch Siphon Hose Shut Off Clamp Drilled Rubber Stopper for Carboy Airlock 30 Corks Starter Supply of Sterilizer. The Following Included Items are Upgrades or Additions to Our Basic - Starter Kit: Auto-Siphon (Instead of Racking Cane) 18 Inch Plastic Mixing Spoon Three Piece 18 Inch Plastic Wine Thief Hydrometer Test Jar Bottle Cleaning Brush Carboy Cleaning Brush Floating Thermometer (Instead of Adhesive) Metal - Wine Degasser / Mixer Carboy Carrying Handle Ferrari Italian Bottle Filler (Instead of Rigid Bottle Filler), 6 Gallon GLASS Carboy, 8 Gallon Fermenting Bucket, NOT ALL EQUIPMENT KITS ARE THE SAME - THIS MAY BE THE BEST AND MOST COMPLETE WINE MAKING EQUIPMENT KIT ON THE MARKET, Country of origin - United States, Manufacturer name - Home Brew Ohio.